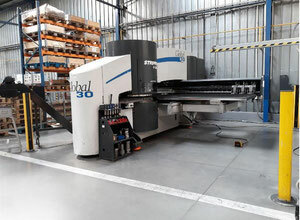 Punching machines are one of the best selling product categories among Sheet metal machines. Punching machines also go by the name of nibbling machines or punch presses and are used for production of metal stampings. 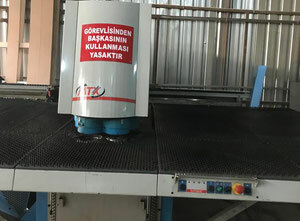 Modern punching machines are CNC operated, which means they are computer controlled. Another feature typical for punching machines is a tool carrier providing a quick change of tools during production process. 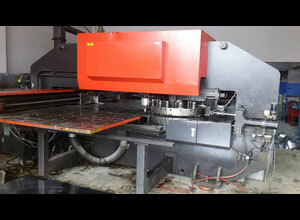 Nibbling machines perform punching operations in order to cut out openings of various shapes in a sheet of metal. 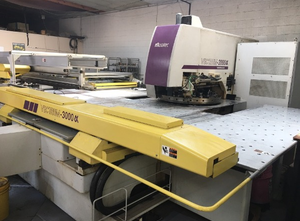 CNC punching machines are fully automated once the production process is launch. To start production, work pieces need to be programmed. In order to do so, enter the length of metal bars so that the machine automatically calculates the number of pieces to be punched. Once the work is completed, the bar is pushed toward the stop. Thanks to the CNC feature, tools can be changed automatically during the work cycle which allows to produce different workpieces within one work cycle to optimize production. The work table moves along X and Y axis, to start operation it is automatically moved to a starting position. The control then initiates the punching sequence and the metal sheet is pushed ahead. The punching sequence is programmed beforehand in order to fulfill the desired final product form. The punch enters the material, pushing it through the die, obtaining the desired shape. 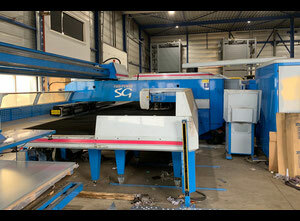 The scrap of metal which is cut out from the workpiece is automatically ejected and collected into a separate container. How to program a punching machine to perform the cycle you need in order to get the final result? Since CNC stands for computer numerical control, punching machines can be programmed on a PC using using suitable software. That software usually comes together with the machine. To perform any action on a CNC punching machine you need to generate a program first. To create a new program from scratch engineering data can be imported or pasted per mouse and keyboard. User interface is usually beginners-friendly and its use doesn't require any special CNC programming skills from the operator. 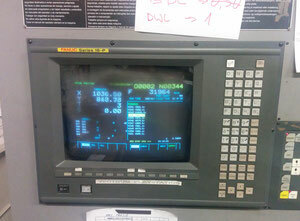 After creating the program, operator can monitor all the punches in a sheet of metal on the screen. This way any programming mistakes can easily be detected and eliminated. A number of programs can be created for the punching machine, each program being stored in a separate database for easy access and recovery. When selecting a new piece, all the necessary tooling changes are displayed. Before transferring it to the control unit the software scans each program for possible collisions. This eliminates most handling errors. 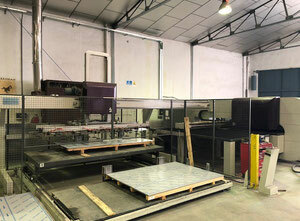 Automatic loading and unloading - raw sheets of metal are automatically loaded on the machine. 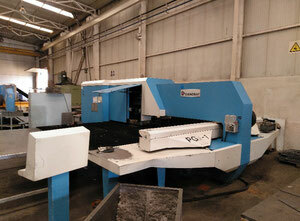 After the process is finished, metal scraps are unloaded automatically. Sorting the small parts - sorting of small metal parts is handled automatically. Taking care of disposal - metal scraps are efficiently disposed. 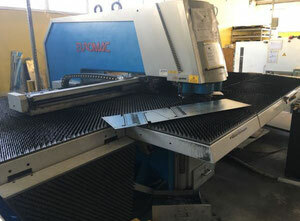 Euromac - the worldwide supplier of metal working machines, punch presses and bending machines. 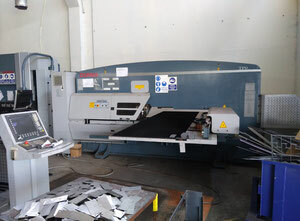 Italian manufacturer established in 1986 has been developing CNC punching machines according to the market requirements. 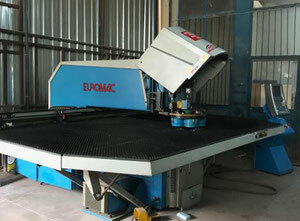 Euromac's presence in global sheet metal industry has been confirmed with a constant ability to design and develop metal working machines of the highest standard. AMADA - AMADA machine tools is an American manufacturer with headquarters in all parts of the world. 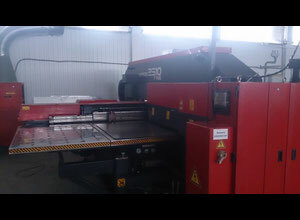 CNC punching machines made by AMADA correspond to the global standards for performance and reliability of sheet metal machines. AMADA has been constantly developing the technology of sheet metal manufacturing and implementing new automation solutions to the industry. 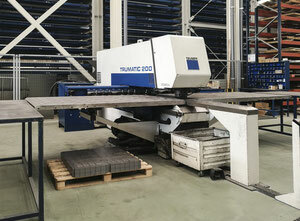 Trumpf - Trumpf is specializing in machine tools and laser systems offering solutions for sheet metal processing as well. 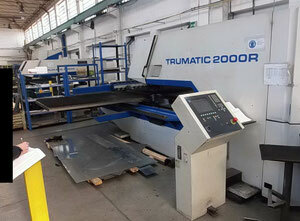 CNC punching machines by Trumpf are known to be among the top products in punch presses category. 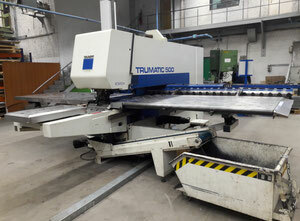 Trumpf is also producing software for operation of CNC punching machines. Finn Power - main specialty of this best-selling manufacturer are crimping machines or, in other words, punch presses. 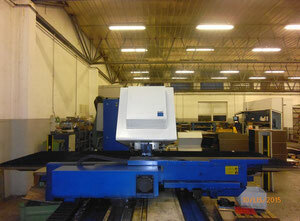 Finn Power offers a wide range of sheet metal working machines and equipment. The main feature of the product line being high quality and precision. For better understanding of the functioning principles of punching and nibbling machines with CNC have a look at the video below, which shows the manufacturing process in details.